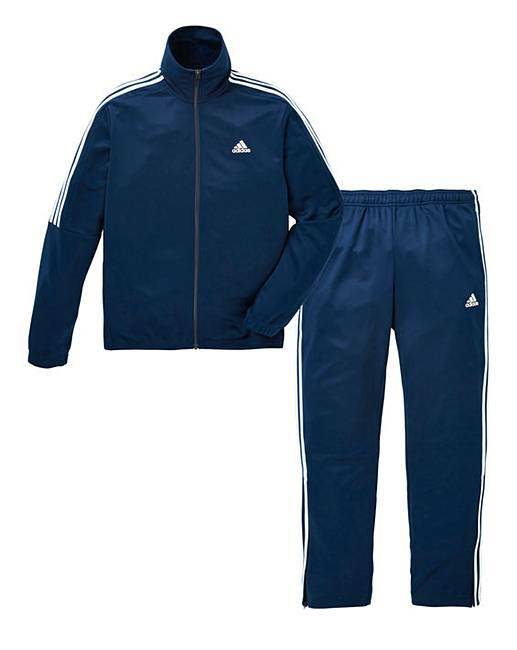 adidas Tiro Tracksuit is rated 3.2 out of 5 by 11. 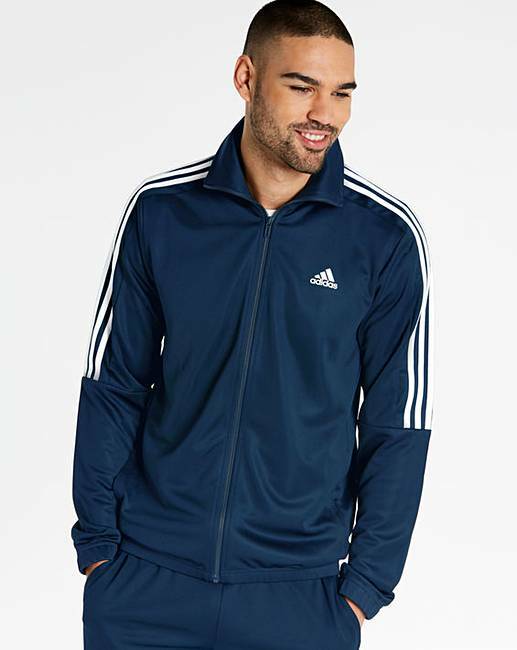 Warm up with signature 3 Stripes style in the comfort of this men's adidas Tiro Tracksuit. Made in long-lasting doubleknit, the pants are designed with tapered legs and a drawcord adjustable waist for easy removal when it's time to shed a layer. 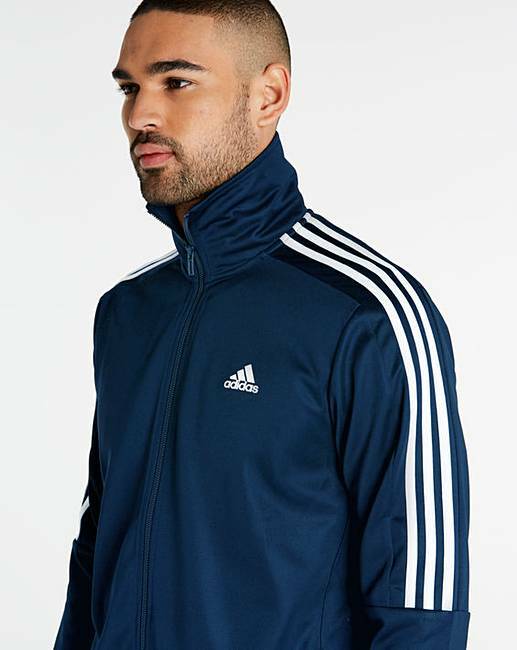 The jacket features a stand-up collar, the trademark 3 stripes on the arm and elastic cuffs and hem for a snug fit. Rated 1 out of 5 by Optimuswilbur85 from Top fits great but bottoms are horrible With the size chart the top is bang on the size, but bottoms feel like they are for a size 4 below and they don't explain that. 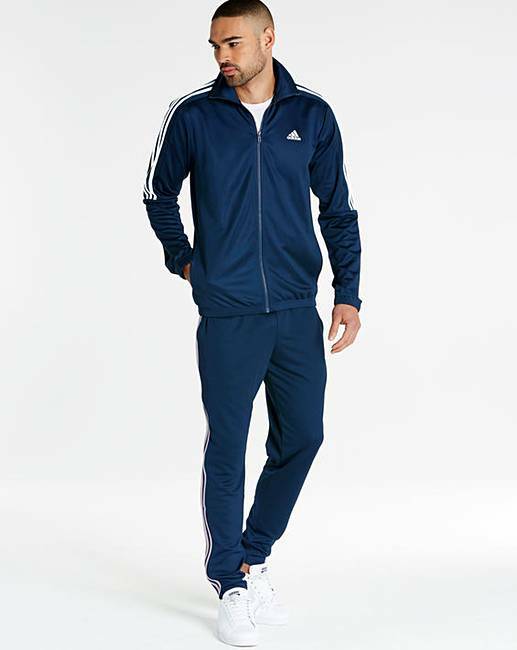 Rated 5 out of 5 by mikeyoungish from Perfect fit I'm not usually lucky when buying tracksuits or bottoms, due to my big waist & short legs, however this adidas tracksuit fits like a glove. The jacket is smashing with only a small moan about the sleeves being finished with elastic inside wrists, makes it look bit cheap. The track trousers are skinny leg fit which was perfect, waist sits good & hugs my 50 waist, trousers nice length for me at 29 inch legs. Truly worth the money and I would like it if jacamo sold other colours, I would buy more.